The new 5-seat Toyota Corolla for sale near Las Vegas at Findlay Motors delivers a roomy interior with up to 84.6 cubic feet of cargo space for all your gear. Every Toyota Corolla Hatchback also comes with the advanced safety features of Toyota Safety Sense 2.0 which includes Pre-Collision Braking, Pedestrian Detection, Lane Tracing Assist, Road Sign Assist, and much more. 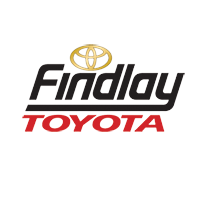 Find yours in the inventory below then make the trip to Findlay Toyota near Boulder City to test drive this versatile Toyota hatchback today! SE trim. EPA 37 MPG Hwy/28 MPG City! Back-Up Camera, Alloy Wheels, Onboard Communications System, Keyless Start, iPod/MP3 Input. Warranty 5 yrs/60k Miles - Drivetrain Warranty; SEE MORE!======KEY FEATURES INCLUDE: Back-Up Camera, iPod/MP3 Input, Onboard Communications System, Aluminum Wheels, Keyless Start. Rear Spoiler, MP3 Player, Keyless Entry, Child Safety Locks, Steering Wheel Controls. ======EXPERTS RAVE: newCarTestDrive.com explains ''With its new, more powerful engine, the 2019 hatchback conveys the promise that today's Corolla no longer needs to be viewed in strictly practical terms.''. Great Gas Mileage: 37 MPG Hwy. Fuel economy calculations based on original manufacturer data for trim engine configuration. Please confirm the accuracy of the included equipment by calling us prior to purchase. FUEL EFFICIENT 37 MPG Hwy/28 MPG City! Keyless Start, Onboard Communications System, Alloy Wheels, BODY PROTECTION PACKAGE, iPod/MP3 Input, Back-Up Camera. BLIZZARD PEARL exterior and MOONSTONE interior, SE trim. READ MORE!======KEY FEATURES INCLUDE: Back-Up Camera, iPod/MP3 Input, Onboard Communications System, Aluminum Wheels, Keyless Start. Rear Spoiler, MP3 Player, Keyless Entry, Child Safety Locks, Steering Wheel Controls. ======OPTION PACKAGES: BODY PROTECTION PACKAGE Door Sill Protectors, Rear Bumper Protector, Body Side Molding. Toyota SE with BLIZZARD PEARL exterior and MOONSTONE interior features a 4 Cylinder Engine with 168 HP at 6600 RPM*. ======EXPERTS ARE SAYING: Great Gas Mileage: 37 MPG Hwy. Horsepower calculations based on trim engine configuration. Fuel economy calculations based on original manufacturer data for trim engine configuration. Please confirm the accuracy of the included equipment by calling us prior to purchase. SE trim, BLIZZARD PEARL exterior and MOONSTONE interior. FUEL EFFICIENT 37 MPG Hwy/28 MPG City! Keyless Start, BODY PROTECTION PACKAGE, Alloy Wheels, Back-Up Camera, Onboard Communications System, iPod/MP3 Input. AND MORE!======KEY FEATURES INCLUDE: Back-Up Camera, iPod/MP3 Input, Onboard Communications System, Aluminum Wheels, Keyless Start. Rear Spoiler, MP3 Player, Keyless Entry, Child Safety Locks, Steering Wheel Controls. ======OPTION PACKAGES: BODY PROTECTION PACKAGE Door Sill Protectors, Rear Bumper Protector, Body Side Molding. Toyota SE with BLIZZARD PEARL exterior and MOONSTONE interior features a 4 Cylinder Engine with 168 HP at 6600 RPM*. ======EXPERTS ARE SAYING: Great Gas Mileage: 37 MPG Hwy. Horsepower calculations based on trim engine configuration. Fuel economy calculations based on original manufacturer data for trim engine configuration. Please confirm the accuracy of the included equipment by calling us prior to purchase. SE trim. Alloy Wheels, Back-Up Camera, iPod/MP3 Input, Onboard Communications System, Keyless Start. EPA 42 MPG Hwy/32 MPG City! Warranty 5 yrs/60k Miles - Drivetrain Warranty; AND MORE!======KEY FEATURES INCLUDE: Back-Up Camera, iPod/MP3 Input, Onboard Communications System, Aluminum Wheels, Keyless Start Rear Spoiler, MP3 Player, Keyless Entry, Child Safety Locks, Steering Wheel Controls. ======EXPERTS CONCLUDE: newCarTestDrive.com explains ''With its new, more powerful engine, the 2019 hatchback conveys the promise that today's Corolla no longer needs to be viewed in strictly practical terms.''. Great Gas Mileage: 42 MPG Hwy. Fuel economy calculations based on original manufacturer data for trim engine configuration. Please confirm the accuracy of the included equipment by calling us prior to purchase. FUEL EFFICIENT 42 MPG Hwy/32 MPG City! SE trim. Back-Up Camera, Alloy Wheels, Onboard Communications System, Keyless Start, iPod/MP3 Input. Warranty 5 yrs/60k Miles - Drivetrain Warranty; CLICK ME!======KEY FEATURES INCLUDE: Back-Up Camera, iPod/MP3 Input, Onboard Communications System, Aluminum Wheels, Keyless Start Rear Spoiler, MP3 Player, Keyless Entry, Child Safety Locks, Steering Wheel Controls. ======VEHICLE REVIEWS: ''With its new, more powerful engine, the 2019 hatchback conveys the promise that today's Corolla no longer needs to be viewed in strictly practical terms.'' -newCarTestDrive.com. Great Gas Mileage: 42 MPG Hwy. Fuel economy calculations based on original manufacturer data for trim engine configuration. Please confirm the accuracy of the included equipment by calling us prior to purchase. Back-Up Camera, Aluminum Wheels, Onboard Communications System, iPod/MP3 Input, Keyless Start. SE trim. FUEL EFFICIENT 42 MPG Hwy/32 MPG City! Warranty 5 yrs/60k Miles - Drivetrain Warranty; SEE MORE!======KEY FEATURES INCLUDE: Back-Up Camera, iPod/MP3 Input, Onboard Communications System, Aluminum Wheels, Keyless Start Rear Spoiler, MP3 Player, Keyless Entry, Child Safety Locks, Steering Wheel Controls. ======EXPERTS REPORT: newCarTestDrive.com's review says ''With its new, more powerful engine, the 2019 hatchback conveys the promise that today's Corolla no longer needs to be viewed in strictly practical terms.''. Great Gas Mileage: 42 MPG Hwy. Fuel economy calculations based on original manufacturer data for trim engine configuration. Please confirm the accuracy of the included equipment by calling us prior to purchase. SE trim. Aluminum Wheels, Back-Up Camera, iPod/MP3 Input, Onboard Communications System, Keyless Start. EPA 42 MPG Hwy/32 MPG City! Warranty 5 yrs/60k Miles - Drivetrain Warranty; CLICK ME!======KEY FEATURES INCLUDE: Back-Up Camera, iPod/MP3 Input, Onboard Communications System, Aluminum Wheels, Keyless Start Rear Spoiler, MP3 Player, Keyless Entry, Child Safety Locks, Steering Wheel Controls. ======EXPERTS ARE SAYING: newCarTestDrive.com explains ''With its new, more powerful engine, the 2019 hatchback conveys the promise that today's Corolla no longer needs to be viewed in strictly practical terms.''. Great Gas Mileage: 42 MPG Hwy. Fuel economy calculations based on original manufacturer data for trim engine configuration. Please confirm the accuracy of the included equipment by calling us prior to purchase. Aluminum Wheels, Back-Up Camera, Auxiliary Audio Input, Keyless Start, Telematics. EPA 42 MPG Hwy/32 MPG City! SE trim. Warranty 5 yrs/60k Miles - Drivetrain Warranty; AND MORE!======KEY FEATURES INCLUDE: Back-Up Camera, Auxiliary Audio Input, Telematics, Aluminum Wheels, Keyless Start. Rear Spoiler, MP3 Player, Keyless Entry, Child Safety Locks, Steering Wheel Audio Controls. ======EXPERTS RAVE: newCarTestDrive.com explains ''With its new, more powerful engine, the 2019 hatchback conveys the promise that today's Corolla no longer needs to be viewed in strictly practical terms.''. Great Gas Mileage: 42 MPG Hwy. Fuel economy calculations based on original manufacturer data for trim engine configuration. Please confirm the accuracy of the included equipment by calling us prior to purchase. SE trim. Alloy Wheels, Back-Up Camera, iPod/MP3 Input, Keyless Start, Onboard Communications System. FUEL EFFICIENT 42 MPG Hwy/32 MPG City! Warranty 5 yrs/60k Miles - Drivetrain Warranty; CLICK ME!======KEY FEATURES INCLUDE: Back-Up Camera, iPod/MP3 Input, Onboard Communications System, Aluminum Wheels, Keyless Start Rear Spoiler, MP3 Player, Keyless Entry, Child Safety Locks, Steering Wheel Controls. ======EXPERTS ARE SAYING: ''With its new, more powerful engine, the 2019 hatchback conveys the promise that today's Corolla no longer needs to be viewed in strictly practical terms.'' -newCarTestDrive.com. Great Gas Mileage: 42 MPG Hwy. Fuel economy calculations based on original manufacturer data for trim engine configuration. Please confirm the accuracy of the included equipment by calling us prior to purchase. BLIZZARD PEARL exterior and MOONSTONE interior, SE trim. Keyless Start, CARPET MAT PACKAGE, Aluminum Wheels, Back-Up Camera, Onboard Communications System, iPod/MP3 Input. EPA 42 MPG Hwy/32 MPG City! SEE MORE!======KEY FEATURES INCLUDE: Back-Up Camera, iPod/MP3 Input, Onboard Communications System, Aluminum Wheels, Keyless Start. Rear Spoiler, MP3 Player, Keyless Entry, Child Safety Locks, Steering Wheel Controls. ======OPTION PACKAGES: CARPET MAT PACKAGE carpet floor mats & trunk mat. Toyota SE with BLIZZARD PEARL exterior and MOONSTONE interior features a 4 Cylinder Engine with 168 HP at 6600 RPM*. ======EXPERTS CONCLUDE: Great Gas Mileage: 42 MPG Hwy. Horsepower calculations based on trim engine configuration. Fuel economy calculations based on original manufacturer data for trim engine configuration. Please confirm the accuracy of the included equipment by calling us prior to purchase. SE trim. FUEL EFFICIENT 42 MPG Hwy/32 MPG City! Alloy Wheels, Back-Up Camera, iPod/MP3 Input, Keyless Start, Onboard Communications System. Warranty 5 yrs/60k Miles - Drivetrain Warranty; SEE MORE!======KEY FEATURES INCLUDE: Back-Up Camera, iPod/MP3 Input, Onboard Communications System, Aluminum Wheels, Keyless Start. Rear Spoiler, MP3 Player, Keyless Entry, Child Safety Locks, Steering Wheel Controls. ======EXPERTS ARE SAYING: ''With its new, more powerful engine, the 2019 hatchback conveys the promise that today's Corolla no longer needs to be viewed in strictly practical terms.'' -newCarTestDrive.com. Great Gas Mileage: 42 MPG Hwy. Fuel economy calculations based on original manufacturer data for trim engine configuration. Please confirm the accuracy of the included equipment by calling us prior to purchase. EPA 42 MPG Hwy/32 MPG City! CLASSIC SILVER METALLIC exterior and MOONSTONE interior, SE trim. Brake Actuated Limited Slip Differential, SE OPTION PACKAGE, Aluminum Wheels, Lane Keeping Assist, Back-Up Camera. CLICK NOW!======KEY FEATURES INCLUDE: Back-Up Camera, Aluminum Wheels, Lane Keeping Assist, Brake Actuated Limited Slip Differential. Rear Spoiler, Keyless Entry, Child Safety Locks, Steering Wheel Controls, Heated Mirrors. ======OPTION PACKAGES: SE OPTION PACKAGE Blind Spot Monitoring, lane change assist (LCA), Radio: Entune 3.0 Premium Audio, SiriusXM w/cache radio, Entune 3.0 connected services, service connect, remote connect, 8 inch touchscreen, 6 speakers, Siri Eyes Free & Apple CarPlay compatible, Amazon Alexa enabled, Entune 3.0 app suite, safety connect, Wi-Fi connect powered by Verizon, Scout GPS link compatible, aux port and USB media port, AM/FM, voice recognition training and tutorials, hands-free phone capability, voice recognition and music streaming via Bluetooth, customizable home screen and weather/traffic info via Entune 3.0 app suite, Satellite Radio. Toyota SE with CLASSIC SILVER METALLIC exterior and MOONSTONE interior features a 4 Cylinder Engine with 168 HP at 6600 RPM*. ======EXPERTS ARE SAYING: Great Gas Mileage: 42 MPG Hwy. Horsepower calculations based on trim engine configuration. Fuel economy calculations based on original manufacturer data for trim engine configuration. Please confirm the accuracy of the included equipment by calling us prior to purchase. Heated Leather Seats, Aluminum Wheels, Back-Up Camera, iPod/MP3 Input, Satellite Radio. XSE trim. EPA 37 MPG Hwy/28 MPG City! Warranty 5 yrs/60k Miles - Drivetrain Warranty; CLICK ME!======KEY FEATURES INCLUDE: Leather Seats, Heated Driver Seat, Back-Up Camera, Satellite Radio, iPod/MP3 Input Rear Spoiler, MP3 Player, Keyless Entry, Child Safety Locks, Steering Wheel Controls. ======EXPERTS REPORT: newCarTestDrive.com explains ''With its new, more powerful engine, the 2019 hatchback conveys the promise that today's Corolla no longer needs to be viewed in strictly practical terms.''. Great Gas Mileage: 37 MPG Hwy. Fuel economy calculations based on original manufacturer data for trim engine configuration. Please confirm the accuracy of the included equipment by calling us prior to purchase. Contact us to schedule your Moapa area test drive of the new Toyota Corolla Hatchback today and see the Findlay difference for yourself.